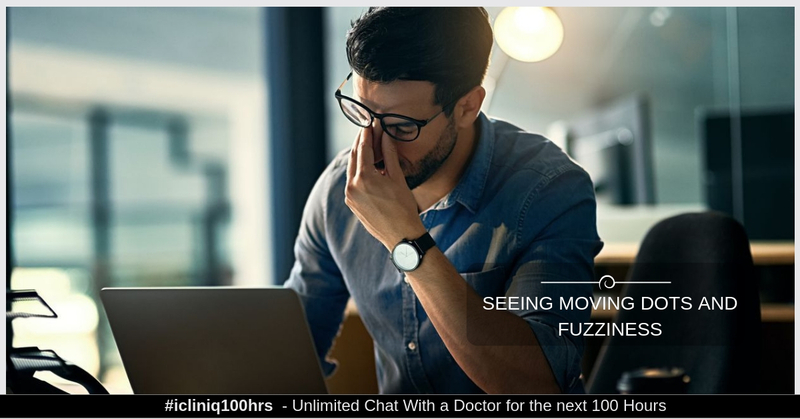 A troubled patient contacted an ophthalmologist on icliniq.com with complaints of seeing moving dots and fuzziness although his eye test results always came up normal. The doctor calmed the patient by saying this is a perfectly normal phenomenon and to be concerned only if there was a sudden shower of floaters. After that, the patient had few other questions to ask the doctor which he calmly answered. Following this conversation, the patient responded back saying that all his concerns were solved and he was not worried anymore.